Happy Valentines Day! This is a special day when couples celebrate their love for each other. Some people may even receive a marriage proposal today! Planning a wedding is an exciting time for the newly engaged but the cost of planning this special day might cause some anxiety as well . Depending on where you want your celebration to take place, the number of guests, and how elaborate you want your wedding to be, the total price of your Big Day could end up costing thousands or even tens of thousands of dollars. In the old days, it used to be the responsibility of the bride’s parents to pay for the wedding and reception, but that's no longer the case these days. More and more couples are getting married later in life and deciding to pay for the wedding themselves. Weddings have also become much more expensive. Parents who are now often already helping their young-adult aged children out with their college educations, have little funds left to contribute to a wedding. 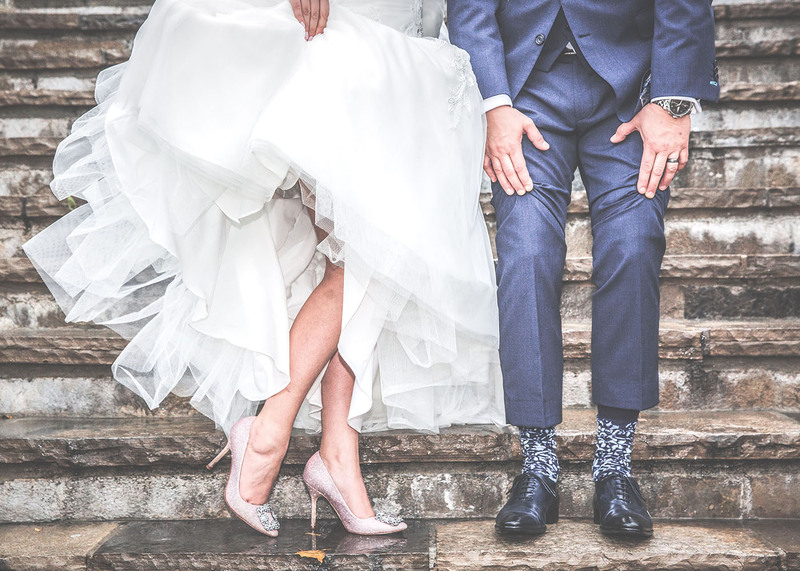 If you and your fiancee need to fund your own wedding, it's important to carefully examine both of your financial situations and set a realistic budget based on your savings. The budget you come up with can also give you a realistic idea of when the best time could be for you to get married. Let’s explore a few practical ways to save for your big day that will blend into your lifestyle. In 2017, the average cost of a wedding in the San Francisco Bay Area was $39,5001 and in Hawaii which is also a popular wedding destination, the average cost was $44,0001. Of course, you can set a smaller or larger budget depending on your wishes, but any vendor that works on weddings seems to automatically charge more. The best way to come up with a budget that fits your lifestyle is to figure out how much you and your fiancee can realistically set aside each month. If it’s a combined total of $1,000 per month, great! If it’s $2,000, even better. At the end of two years, saving $2,000 each month, this will leave you with a $48,000 budget for your wedding. If you are paying for all of it yourselves, it’s entirely reasonable to give yourself a year or two to realistically save enough money for your big day. However, if you are only able to save a small amount each month, you'll need to get honest with yourselves and think about the type of wedding you both really want and can truly afford. It is not a good idea to go into debt to fund your wedding, especially when soon after a wedding often comes other large expenses, such as buying a home, having a child, or purchasing a new car. Once you have a realistic idea of how much money you have to work with, get creative! Find alternative options to the most expensive parts of hosting a wedding. There are many online resources where you can find creative ideas to celebrate a wedding on a budget. Keep careful track of your wedding savings by putting it into a special account that neither of you can touch. If you can schedule that savings to automatically be pulled from both of your paychecks, this will help ensure that the money is actually being saved every month. This is much easier to do than separating it out yourselves, as temptation might be strong to spend it on spur-of-the-moment purchases if it hits your regular account. With a little patience and discipline, it is possible to afford the wedding celebration of your dreams that you will enjoy and remember always. The information in this material is not intended as investment, tax, or legal advice. The opinions expressed and material provided are for general information only.